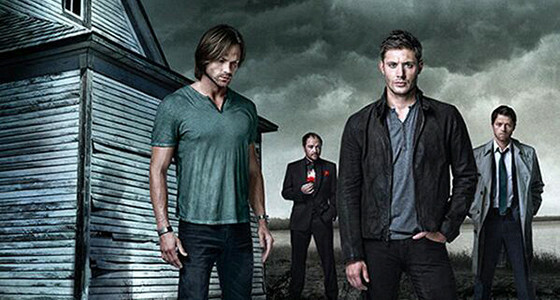 The April 29 episode of Supernatural is called “Bloodlines,” and it is the pilot episode for a possible Supernatural spin-off series for the 2014-2015 TV season. 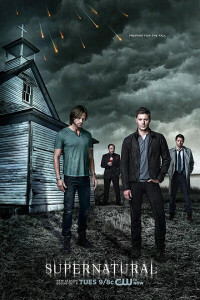 SAM AND DEAN INVESTIGATE MONSTER FAMILIES IN CHICAGO — Sam (Jared Padalecki) and Dean (Jensen Ackles) investigate a case in Chicago, where they discover that various mafia-esque monster families are, unknown to humans, running the underbelly of Chicago. One is a family of shapeshifters run by Margo Lassiter (guest stars Danielle Savre), whose leadership is thrown into question when her brother David (guest star Nathaniel Buzolic) returns home. The other reigning family in town is made up of werewolves, lead by Julian Duval (guest star Sean Faris). 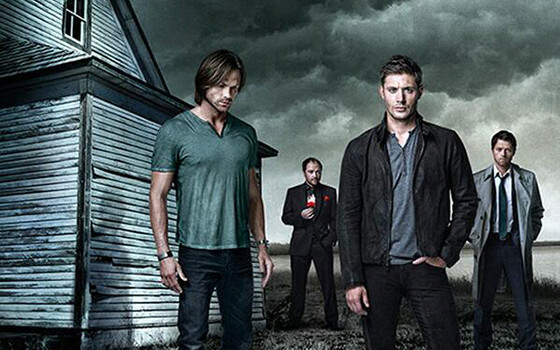 While in Chicago, Sam and Dean meet Ennis (guest star Lucien Laviscount), a man with a personal vendetta against the monsters. The Winchesters warn Ennis about heading into the hunter lifestyle, but Ennis refuses to listen and starts down a dangerous path. Robert Singer directed the episode written by Andrew Dabb (#920).